What Is Patch Management And Why Is It Important? When it comes to security topics, patch management is without a doubt the most ignored. But what most people do not realise is that it plays a crucial role in any security plan. By essence, it is the process of handling the entire updates of components within an organisation’s information system. These include, but not limited to, anti-viruses, firewalls, routers, and operating systems. Keep in mind that a patch is a piece of code that needs to be installed. As such, someone has to have the knowledge of its existence, decide if it is necessary, and take steps in order to prevent problems from occurring while implementing a patch. The most common example of a patch is Windows updates. If you use Windows, a more popular choice would be the SysAid patch management solution. It keeps your Windows-based system and PCs up-to-date with the latest updates and security patches. Why Do You Need a Patch Management Solution? But why do need a patch management solution? Why is it important, anyway? If you have not noticed, there is a growing ransomware attack lately, all of which are rapidly increasing as the day goes by. If your organization has tons of computers and/or servers, you want to make sure they all are updated. However, the process can be challenging, time-consuming, and even overwhelming. You surely do not want to manually manage these patches, as doing so can be a huge headache and a major risk for your organization. To help you better understand the idea of having a patch management solution, here are some reasons why you need one. Keep them in mind! 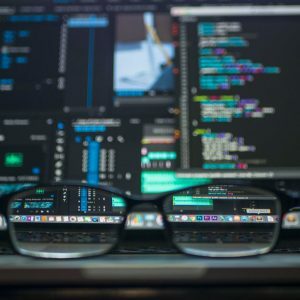 Software Is Insecure – It is no secret that software is the brainchild of a human being – a masterpiece that has proven to be essential in a person’s day to day life. But like everything else, human error can happen and change the game. In other words, flaws – particularly those that are unintended – can always arise. And when they do, they can open a window of opportunity for attacks from malicious hackers and/or exploiters. Zero Day Attack Is Not True – Calling it a myth might be too much, but the Zero Day Attack rarely occurs. Remember that there is always a lack of time between the creation of a patch and the discovery of the loophole. With that, hackers do not really have the time to come up with an exploit for the vulnerability. To put it simply, 99.9% of attacks can occur simply because of commonly used exploits and/or vulnerabilities found in a company’s system. And why do you think it happens? Well, it is because the system has yet to be patched. Had those bad patching practices were removed, the system could have been protected and attacks prevented. But since it is otherwise, everything just went wrong. Outdated Antivirus – An anti-virus program is only as good as its frequency of updates. If it barely gets updated, then it is pretty much garbage. Its existence in a computer is useless and of no value. Remember that new threats tend to exist on a regular basis and, thus, the anti-virus needs to acknowledge their existence. Even more so, updating the program can help remove these threats in case they have infiltrated a system. By patching your anti-virus, you are giving it the much-needed ability to pick up everything it must do to protect your system. Unsupported Software – Whether you like it or not, the vendor has the decision power to stop supporting its software. And if it does, this only means that you cannot expect it to release more patches designed for discovering vulnerabilities. As soon as new loopholes come to light, they will simply remain vulnerable to attacks. Why? That is because nothing is being done to resolve them. It is imperative that you stop utilizing this software, especially since exploits can easily become more common and attract more attackers. Massive Savings – Sure, you will shell out money in order to deploy a patch management solution. At first, you will think it is a complete waste of money. But have you actually imagined how much a security breach could cost? If your organization has been breached due to a loophole in your patch management, you will be spending more than what you could have with the solution. Not just that, though. There will be other damages that can be expensive for the business. And if you have no means to manage the system after the incident, the breach can become unmanageable; hence, more money is lost. Try to put yourself in a situation where you are maintaining a car. You barely take it to a shop for its regular check-ups and/or replacement of tires and parts. However, you still choose to drive it every now and then, not minding the fact that it can be dangerous. If you keep avoiding your mechanic, your vehicle is going to break down sooner or later. What is worse, it can cause an accident – and that is the very last thing you want to happen. The analogy can be likened to people who kept ignoring the importance of having a patch management solution. In the near future, they can get hacked and they will feel powerless. They simply have no idea how to act on these exploits, let alone find a way to stop all of them from happening. Yes, a patch management solution will require an initial investment from your side, but the assurance and peace of mind it offers are more than the money you spent. Remember: Software and operating systems, among others, can never be left unpatched. Doing so can put your entire organization at risk of serious security breaches. And with how advanced technology has become, you can expect cybercriminals to have their own set of tools for exploits. But with a patch management system, you are at a better position. What is more, it can free your IT administrators from the rigorous routine of manually patching computers or systems, allowing them to focus more on tasks that require their utmost attention.